Parents and carers instinctively know that green vegetables are important for the growing body, hence the drive to encourage our children to eat large amounts. This desire to ensure a good diet can often be hugely challenging. Recent recommendations to increase fruit and vegetable consumption from 5 a day to 10 is based on a great deal of research, but recent statistics suggest we still only manage 4. So, what’s the drive behind the importance of eating a rainbow and getting your greens? Aside from fats, carbohydrates, protein, vitamins and minerals, chemicals from plants aren’t essential for keeping us alive but they can help maintain optimal health and prevent disease. All plants produce chemical compounds called phytonutrients as part of their normal metabolic activity to protect the plant from fungi, bugs and other potential threats. This protective mechanism of the plant is also linked to its colour, taste and texture. It’s certainly no accident that green vegetables often have a bitter taste, which can test our acceptance of these foods as demonstrated by the often reluctant eating patterns of two- and three-year-olds. This initial fear around food, known as neophobia, is believed to be an evolutionary-rooted response. It served as a protective mechanism to ensure as hunters and gatherers we didn’t eat something poisonous which would make us sick. Our ancestors developed their diet around safe colours, smells and textures and as some foods (specifically vegetables) have a naturally bitter taste acceptance of these foods was challenged. This natural uncertainty is evident in modern children as they develop and expand their food palette. 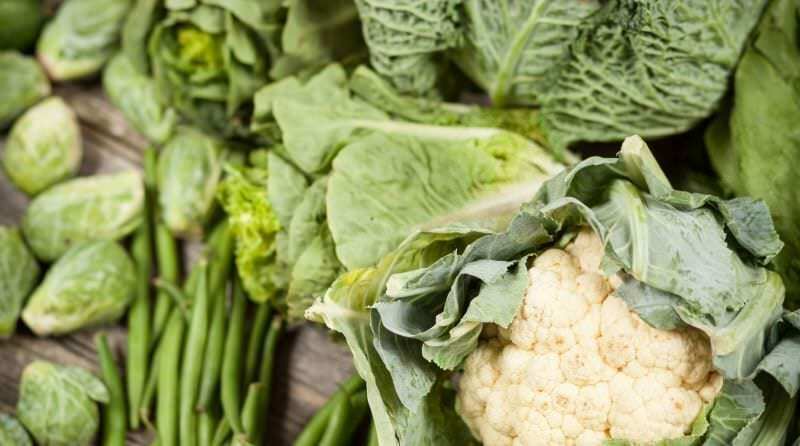 Green vegetables are rich in beneficial phytonutrients with the most significant being lutein, zeaxanthin, indoles, quercitin, chlorophyll and folate. Lutein and zeaxanthin are both carotenoids and are found in high concentrations in the eyes where they protect the lens and macular area of the retina. For this reason, they are thought to reduce the risk of cataracts and macular degeneration in the elderly. Focus on: Kale, spinach, romaine lettuce, broccoli, green peas, kiwifruit and honeydew melon. Indoles are important cancer fighting compounds; studies have shown their benefits for breast and prostate cancer. It also supports the liver to break down and clear toxic compounds from the body. Quercitin is a bioflavanoid, which has powerful anti-inflammatory and antioxidant properties. It is thought to be hugely beneficial for allergies as it blocks mast cell production and also promotes hormone activity. Focus on: Spinach, kale, broccoli, cabbage and Brussel sprouts. Chlorophyll found naturally in green plants is fat-soluble and can stimulate red blood cell production and is also a powerful antioxidant. Folate is also known as vitamin B9 and is called folic acid in its synthetic version. It’s important for DNA synthesis and cell repair but has wide-reaching benefits including foetal development, cardiovascular support, reducing the risk of stroke and support for optimal digestive health. So, knowing why green is so beneficial for our health can be invaluable but if your child or those you care for are reluctant about such foods then focus on exposure to help reduce any fear around green vegetables with your child. To reduce the fear response, you will need to plan at least 15-20 exposures before a child will willingly eat a particular food and you may need to track progress from happy to have on their plate, to touching, tasting and eating and acknowledge small steps. Before you know it, incorporating these foods into the weekly menu can become widely accepted and the far-reaching health benefits can be astounding. 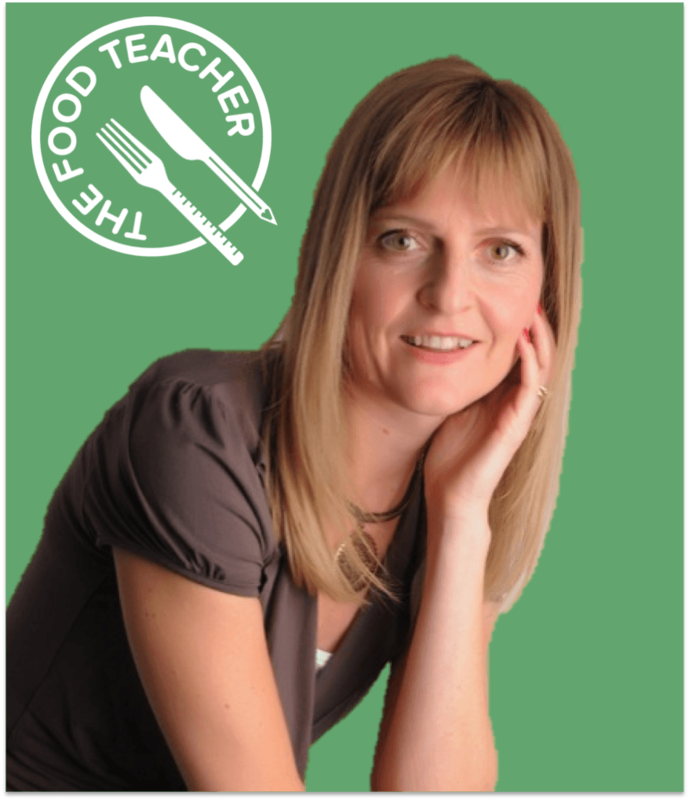 The Food Teacher, Katharine Tate, has worked as a teacher and education consultant internationally in primary and secondary schools for over 20 years. Qualified as a registered nutritional therapist, Katharine, combines her unique education and nutrition expertise to offer schools, organisations and families advice, education programmes, practical workshops, and individual/family clinical consultations. She has also published 2 books: ‘Heat-Free & Healthy’ and ‘No Kitchen Cookery for Primary Schools’.